There is something about the crisp, clean look of white furniture that cannot be ignored. From solid wood or metal or cushioned apholstery as a base, and including pure white to the softer, rustic look of whitewashed or antique white furniture, these pieces create warmth while keeping rooms light and airy. White furniture provides a classic look that can withstand the test of time, and its ability to contrast against most color schemes allows it to fit in with almost any other decor choice. The crisp, clean look of white furniture cannot be ignored. White furniture pieces exude comfort & warmth while keeping rooms light and airy. Gloss or stark whites provide a crisp contrast within a room, while a vintage, antique, or chalky white allows you to add some lighter colors while maintaining a warmer, homier feel with your furnishings. The softer whites are often found in rustic or farmhouse furniture because of their country charm, while the starker whites lend themselves more to modern designs. However, this is not a hard and fast rule, as we have seen some very elegant, high-end designs utilize a chalky white finish. The obvious challenge with white furniture, obviously, is that it can be considered harder to clean because marks and scuffs will show on the crisp white surface faster and easier than they would on a darker finish, such as that on solid wood furniture. However, in contrast, one of the very nice things about white furniture is that – when it’s clean – you KNOW it’s clean. Before choosing white furniture for your home, you need to understand how it will get used and how likely it is to get abused. As a parent, for example, I would never, ever, ever, ever have purchased a solid white, upholstered couch or chair because that poor piece of furniture would have been doomed to quickly become a stained mess. If you know that the white furniture pieces you are choosing will get a lot of wear and tear, make sure you pick something with an easily cleanable surface. Based on the colors and the light spectrum, white is – technically – not a color… but is, in fact, a very light shade of another color. If you’ve ever gone looking for a white or off-white paint, you have seen how a bunch of colors – which can all look “white” from a distance – can suddenly seem very different when you place them against each other. The same shade of white – which is usually only achieved by purchasing a complete set or matching pieces from the same company. Slight variations can be hidden by placing the pieces far enough away from each other to not be able to visually see the difference. Different textures can help as well. A white leather couch and a white coffee table can have a slight variation in tone that is visually acceptable because the textures are also different. However, obvious differences in shade or tone – especially on two pieces of white wood furniture placed side by side – can create a disruption in the room’s design flow. Very different shades and treatments – Using a transitional piece of white furniture can help blend the starkness of a central piece with the surrounding colors and textures. For example, a distressed white sideboard or bench in the kitchen can help the eye balance the crisp lines of the bright white table & chairs against the warmer colors in the cupboards or counter-top. Creating this kind of cohesive kitchen decor aesthetic is – admittedly – a bit more of a challenge. Selecting the right piece of white furniture comes down to personal choice for many reasons. Style, finish, shade… they all depend on your personal aesthetic, the room it is being used, and the purpose or function of the piece. However, as we at Art & Home always try to be helpful, we have pulled together a showcase of what we believe are some of the finest pieces of white furniture we’ve come across lately. These delightful pieces of white furniture are just a fraction of Art & Home’s complete Fine Furniture offering. 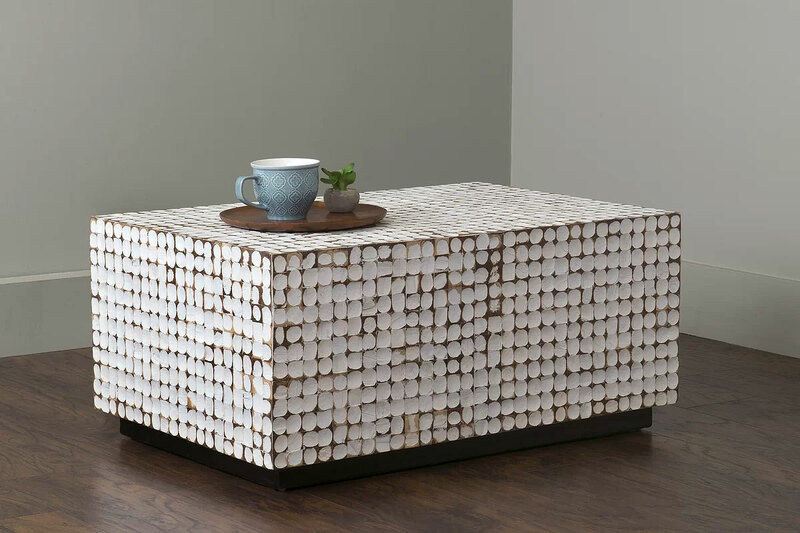 We’ve researched some of today’s leading retailers and manufacturers of distinguished, unique, and charming white furniture pieces to create this showcase. We trust that you will find exactly the right piece of white furniture for your home decor project! 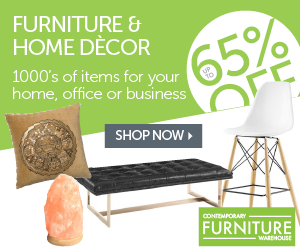 Looking for More White Furniture & Decor?